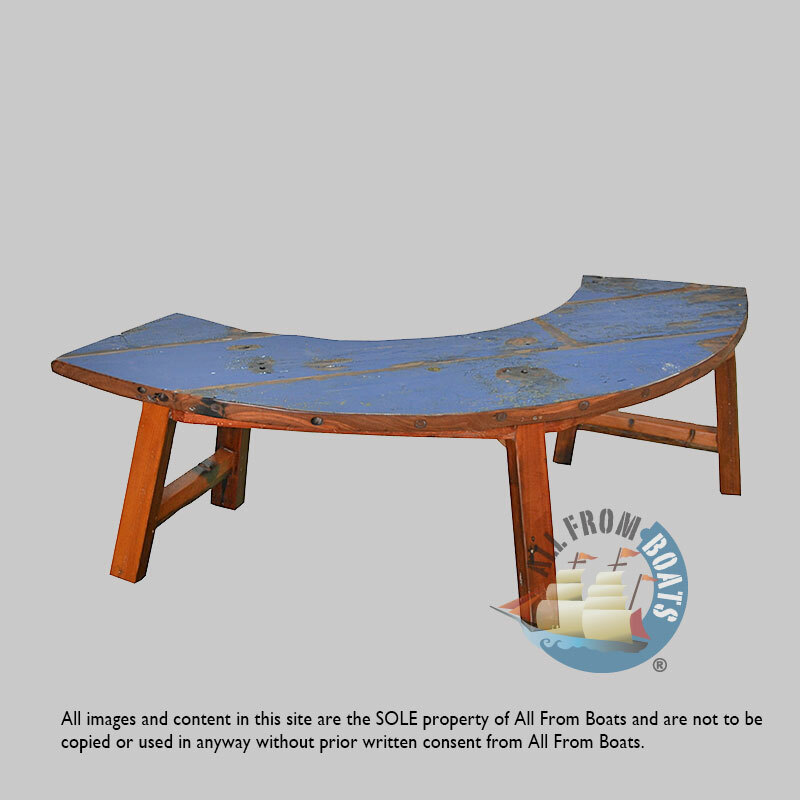 Half Round Bench, colored top, 5 legs, made from reclaimed boat timber with original color patina. recycled, reclaimed boatwood furniture. shellac finishing.